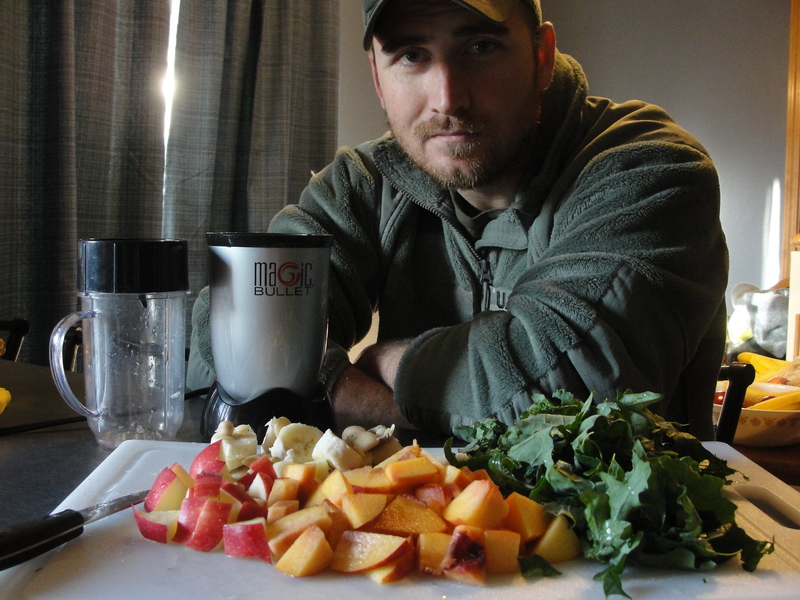 I’ve been having a lot of success staying healthy by drinking a fruit and vegetable smoothie every morning. 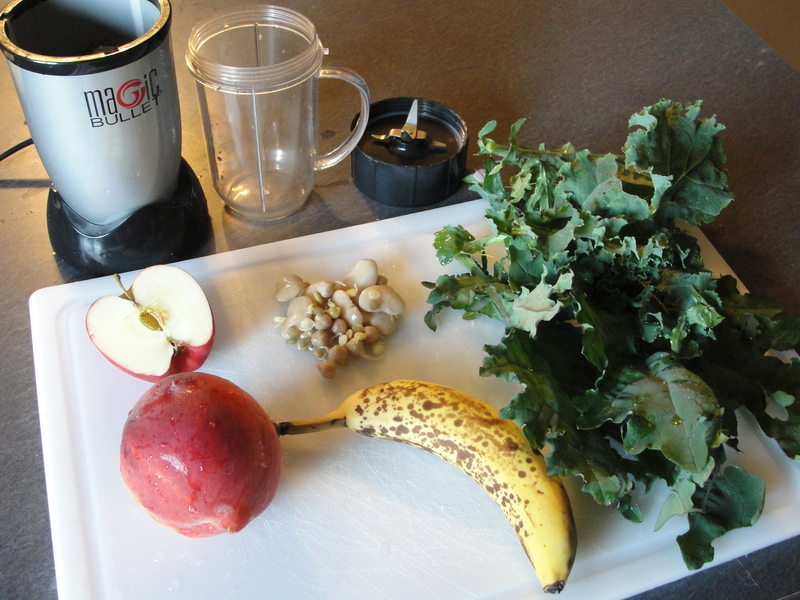 The great thing about smoothies rather than juicing is that you get fiber along with the nutrients. Cut ingredients into small pieces, add water, blend, and choke it down. If it tastes awful, add more bananas and fruit to sweeten it up. 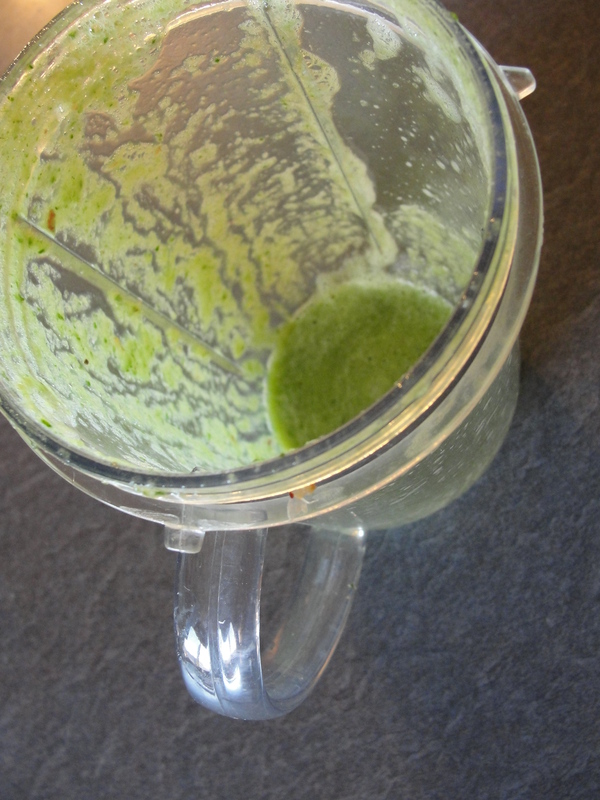 If the smoothie is too thick for your liking add more water and re-blend. You can swap out ingredients based on seasonal availability. This amount made about 1.5 smoothies. Kale is known as a “super food” and sprouts are also supposed to be very good for you. While I’m not a huge fan of the taste, the fruit does a great job masking the flavor. 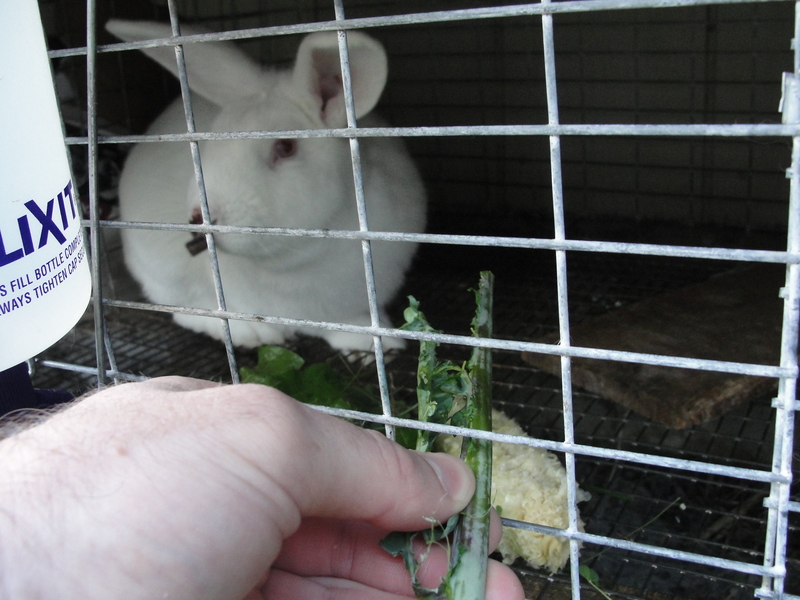 The kale stems and apple cores can be fed to rabbits or chickens. 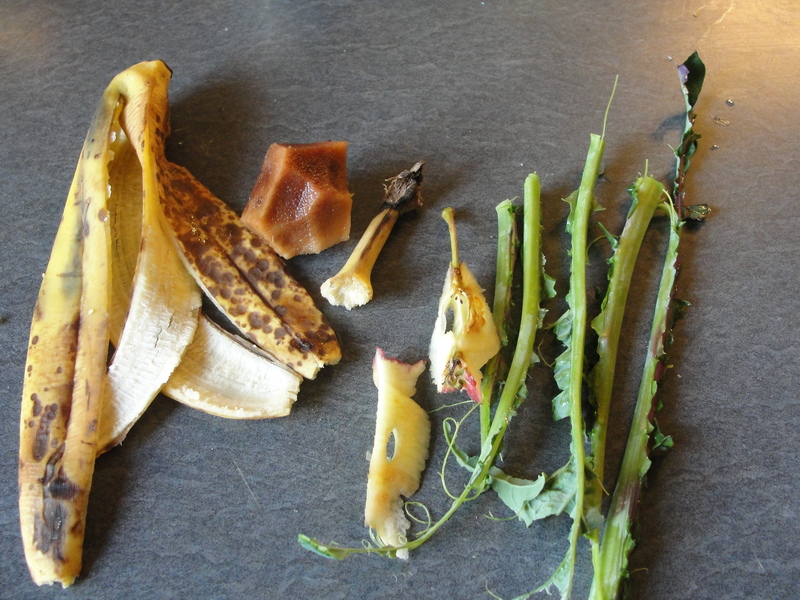 If you don’t have animals you can compost them or feed them to black soldier fly larvae. 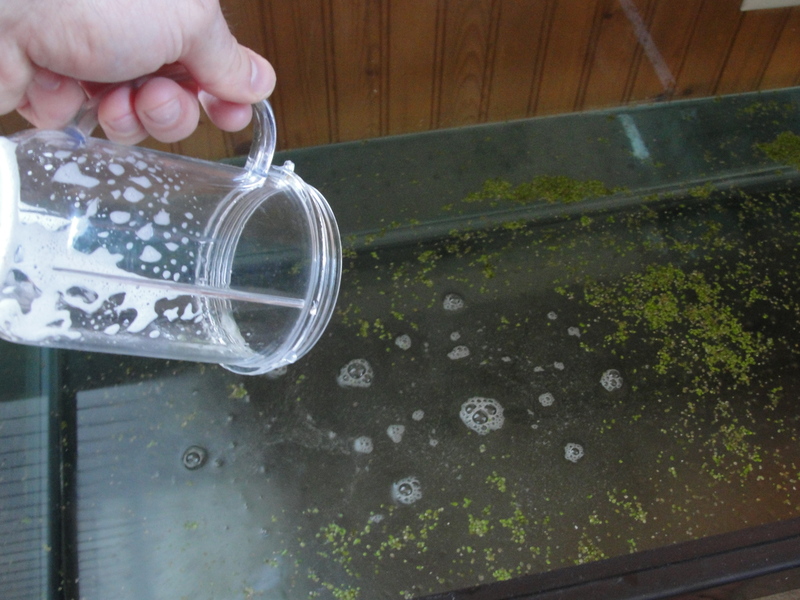 I rinse and dump the remnants from my glass into the duckweed container in hopes it will add some nutrients to the water. The duckweed is then used to feed my tilapia. This is a great low impact meal as it doesn’t cook out any nutrients and doesn’t create any waste.